Marvel Comics Legacy Spoilers follow for Generations: Jean Grey and The Phoenix #1. Will this one-shot be like the Generations: Banner Huk and Totally Awesome Hulk, the Strongest #1? Interesting framing pages, but meat of the issue is a pointless and inconsequential battle of some kind? The short answer is: “Yes”. 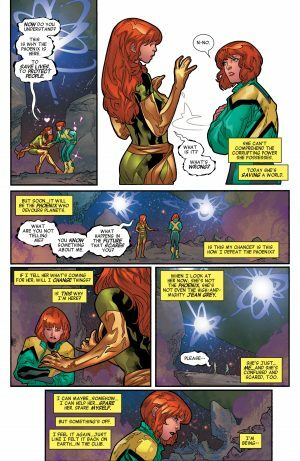 We get the opening page of teasing this Vanishing Point place that will bridge the end of Secret Empire to the beginning of Marvel Legacy via these Generations one-shots. The story opens with Jean Grey, of X-Men Blue, being transported from events in Secret Empire #10 to the past. An inconsequential battle ensues, that ends with the Phoenix explaining to the younger Jean Grey that it is a force for good. 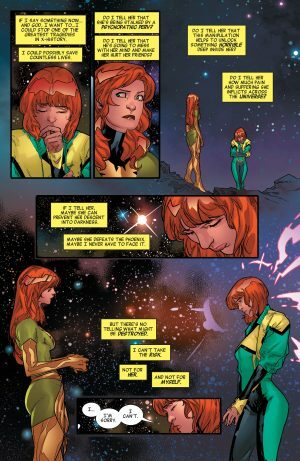 Younger Jean Grey thinks to herself that the power of the Phoenix is corrupting, as she has been told about the Dark Phoenix saga and knows this version of herself is set to become evil, torment the X-Men and die. 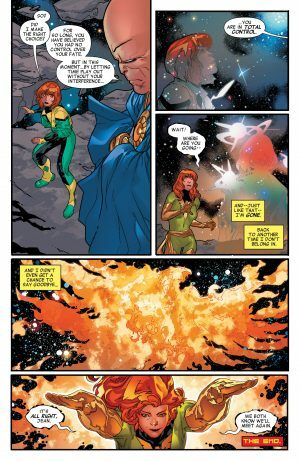 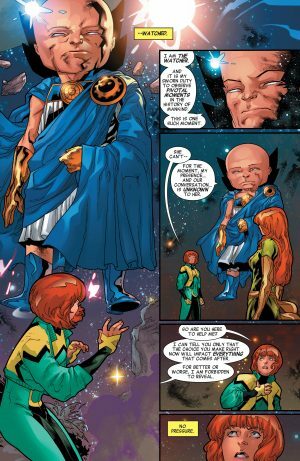 The Watcher appears, freezes the scene, and give Jean Grey a choice to tell her future self from the past (yes, very confusing) about her future or at least the corrupting power of the Phoenix. 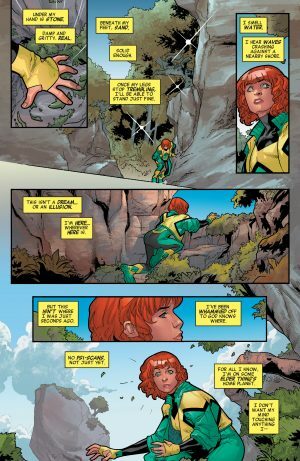 She chooses not to. 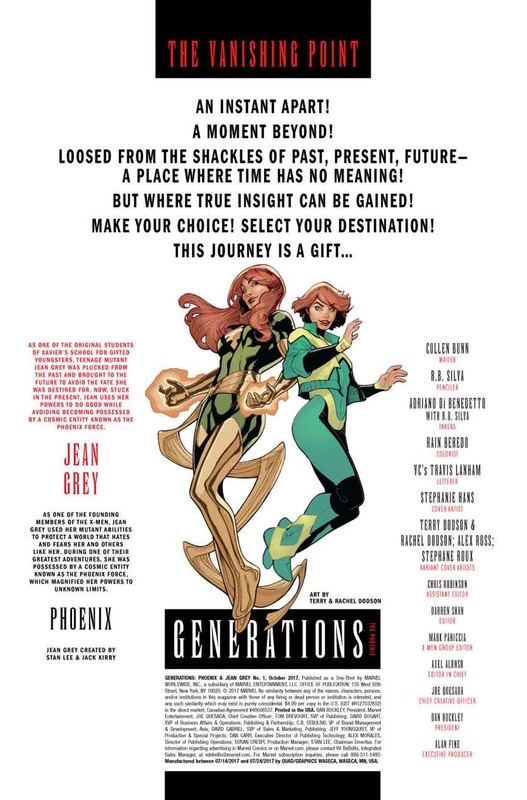 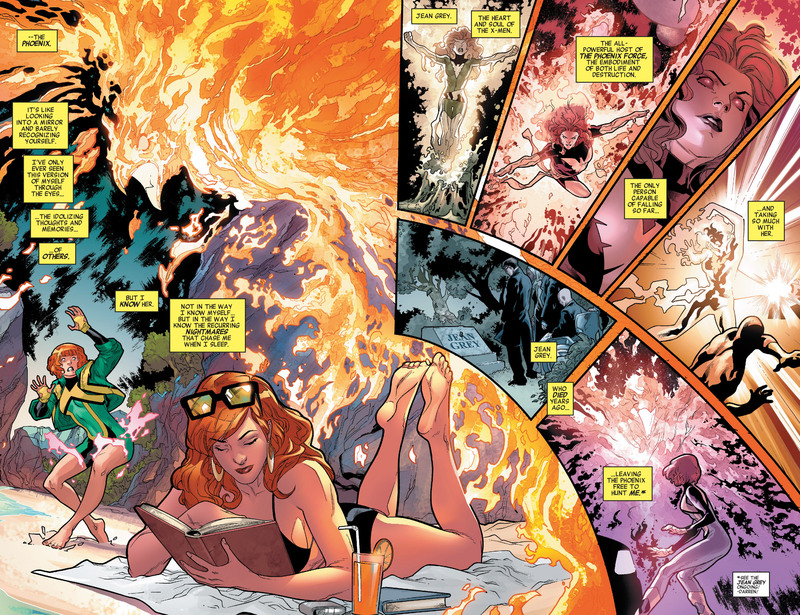 …the Phoenix almost seems to promise she will meet this younger Jean Grey again. Perhaps not via the older Jean Grey, but the Phoenix Force entity itself? 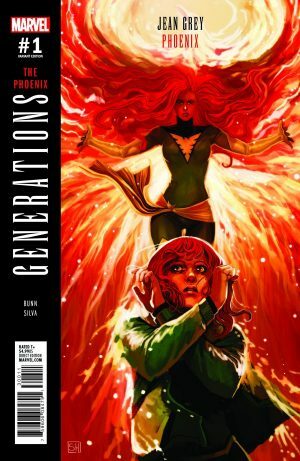 A confusing read whose main battle is was a pointless as the Generations: Hulks one so far. 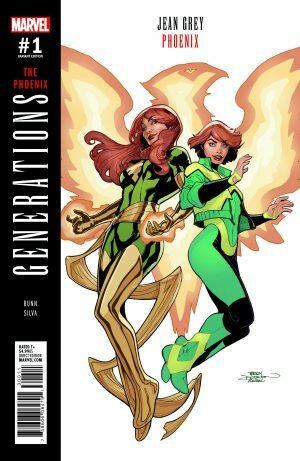 Things are not looking good for Generations, sadly.